If going out to enjoy your backyard means fighting with your patio door first, it’s time to win the battle—once and for all—with a little help from Weather Tight. There are few things as frustrating as a patio door that sticks and slows you down when you just want to go outside and relax. Or coming inside to find that a worn door is letting your cool air leak out. The pros at Weather Tight specialize in the installation of attractive, long-lasting doors from Restorations® that open and close with ease, and help keep you and your home more comfortable. Restorations patio doors are known for their steel rolling system, which offers a lifetime of smooth operation. They also are designed with a durable three-point locking system for security, so forget bracing the door with a stick in the track. 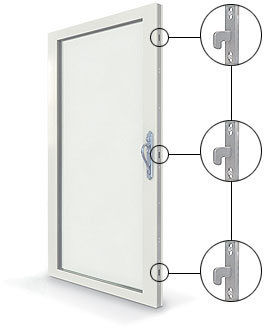 Finally, these doors feature one-inch tempered safety glass, as well as quad-seal weather stripping, for twice the protection from wind and water as standard doors. 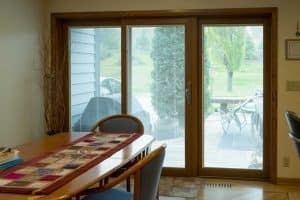 Rest assured that your patio door, which is usually in the back of your home and out of sight, will no longer be an entry risk—and that you’re not receiving sky-high energy bills because of a door that doesn’t close right. 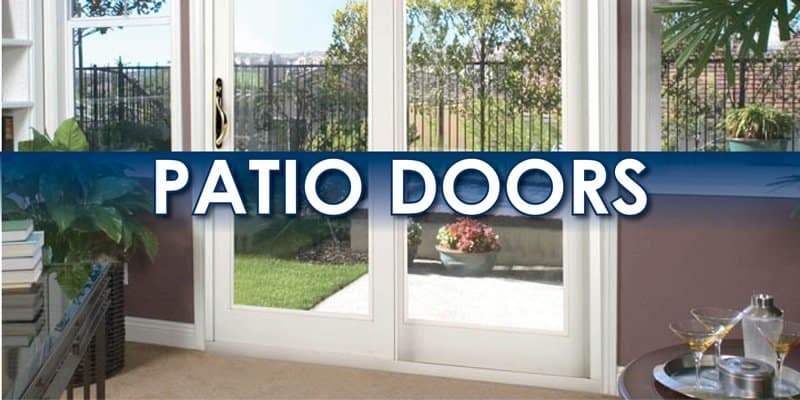 To learn more about patio doors, visit our West Allis Showroom. We can show you everything from smooth, sliding doors to convenient top-hung screen doors that provide easy access to your outdoor living areas. While you’re there, be sure to ask our experts about any other exterior remodeling products or projects that interest you—we’re here to help! Our sliding patio doors come standard with a concealed three-point locking system. The locks all engage at the same time into the mechanism to provide a secure door. Weather Tight sliding patio doors come in a variety of interire and exterior colors. 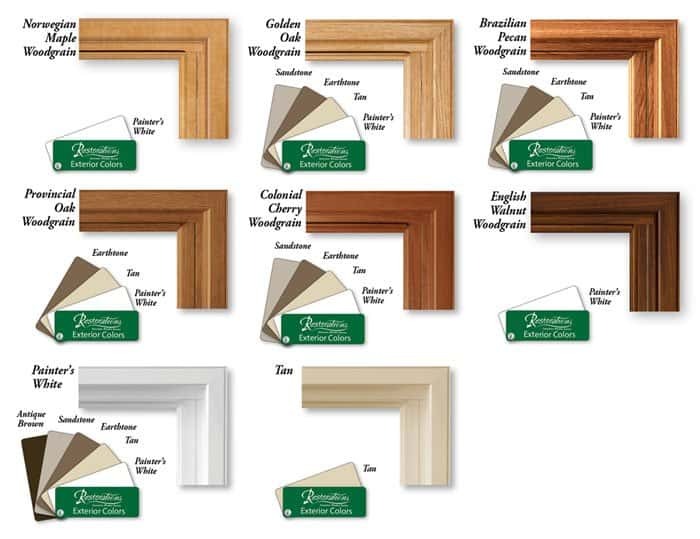 Interior casings can also be prestained or prepainted to match your existing casings. 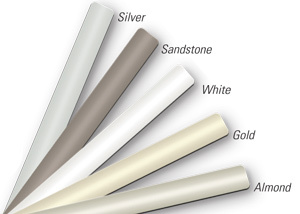 Restorations Patio Doorshave a variety of different glass options to suit your style, taste and budget. We offer a wide range of decorative options to coincide with our double and triple pane insulated glass windows. The double pane window Ultra-U VSS Glass System is insulated with argon gas between the two panes of glass. Triple pane windows are the most insulated glass option available for replacement windows. Our triple pane window is made from two panes of the Ultra-U VSS Glass System and a third pane glass, with sound absorbing properties, in-between them. Krypton90 glass replaces the argon gas of the double pane and fills both air spaces of the triple pane window. 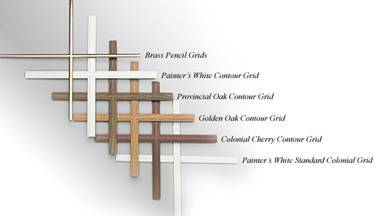 There are a few options and styles when it comes to adding grids to your windows. For an easy-to-clean window the grids can be inserted between the panes of glass in a double pane window. If you prefer the quality of insulation in a triple pane window, grids can be set on the outside of the window. Etched glass gives you the option of adding a decorative touch to your window. 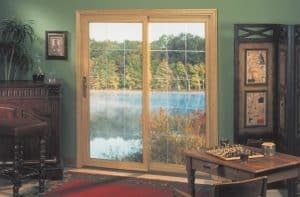 There are several different styles of v-groove etched glass to choose from. 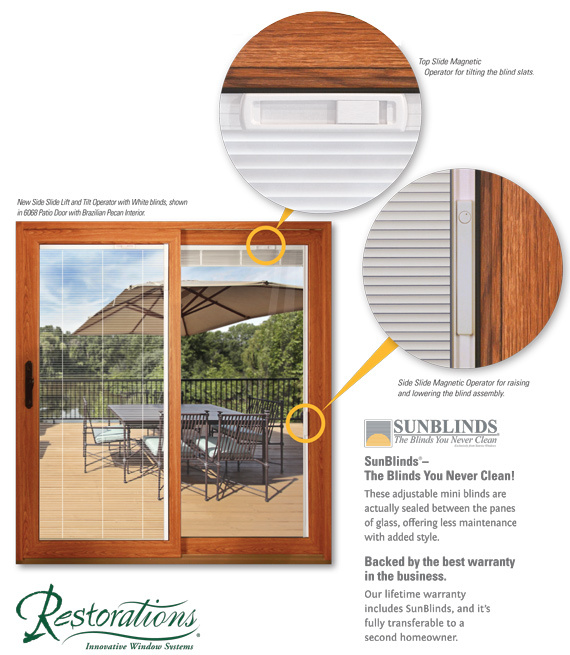 SunBlinds are great options for homeowners who hate dusting and cleaning their blinds. SunBlinds are inserted between the patio door glass panes. A new side slide “lift and tilt” operator is available for the white blinds in select size doors. Weather Tight takes pride in their workmanship and the manufacturing companies that we work with do too. All of Weather Tight’s doors come with a manufacturer-backed warranty that not only covers manufacturing defects, but our workmanship as well. Rest assured that your new doors will be installed correctly, guaranteed. Weather Tight offers a lifetime non-prorated transferable warranty on all Restorations Patio Doors. This warranty is very inclusive and covers things that most warranties do not such as glass breakage and screen damage. You will no longer have to worry about the neighbor’s son throwing his baseball through your patio door or having a rock break the glass after it was kicked up by your lawn mower. The screen warranty states that the screen will not to rip, tear, warp, crack, break or otherwise fail for your entire lifetime. This warranty covers labor on any service call. Read the full details of the warranty.